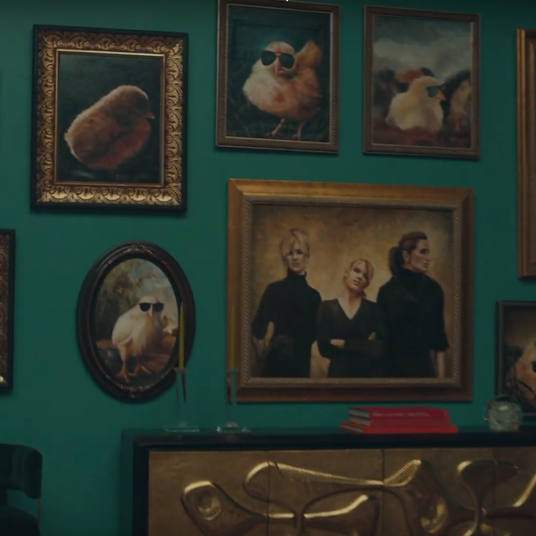 In theory, the act of casting Lion seems like a herculean feat. To adapt Saroo Brierley’s autobiography A Long Way Home — which tells the story of how Brierley was separated from his family at the age of 5, and eventually found his way back as an adult — into a movie, you’d need a child who could convincingly portray a complex human experience, including feelings of loneliness, grief, confusion, and fear. 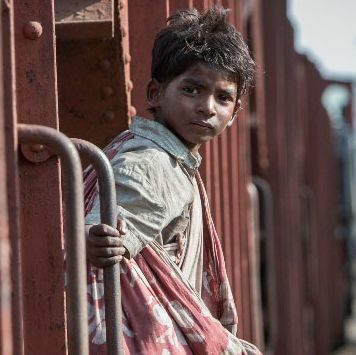 Casting Saroo was one of the first tasks that faced director Garth Davis and casting director Kirsty McGregor as they prepared to shoot; fortunately, the four-month search turned up Sunny Pawar, one of the breakout stars of the year in film. Here’s how they found him. Kirsty McGregor: Firstly, we were aware of the pitfalls of casting in India. We weren’t going to be able to search everywhere, because we knew that we needed to find a child who had papers, basically, because we knew we’d have to get him a visa to shoot in Australia. Ultimately, that meant we were going to have to go through schools. We interviewed a couple of local casting people and we hired Tess Joseph, who’s a fantastic casting director in Mumbai. Garth wanted to turn over every stone that we possibly could. In Australia it’s a lot easier — you can do community casting through social media and people come to you. But we hired Tess, who then put together a team of people who went out on foot to schools — we traveled to New Delhi, to Mumbai, and to Punna, and went to dozens and dozens of schools and put kids on tape in the schools. It was the old method, really, going to schools and finding kids who wanted to audition, and then they would send all of the tapes to me. They probably put approximately 2,000 kids on tape across three different cities, and they would send all of the tapes to me and to Garth. We went through all of them, and Garth and I came up with our short list of who we wanted to meet, and then we flew over to India and we did callbacks, really intensive callbacks for ten days with about 200 of the kids over three cities. Garth Davis: The way I work is that I try and spend as much time in the real-life places as possible, and meeting the real-life people, and there was a point where I started to imagine who this little boy was. I could start to feel him and see his spirit, and I could really feel his character. KM: There’s a little scene in the film where Saroo is trying to convince [his brother] Guddu that he wants to go with him, and he picks up the bike and says, “Look how strong I am!” So they were just doing a little improvisation around that, half a page basically, and it’s just to see the kids, see how natural they were on camera, getting a sense of their spirit, really. And then we narrowed down to those who just felt right, and then the callbacks we did in big groups to start with. We’d have maybe ten kids in at a time, and we would do some scene work, we’d play some games. We took our acting coach to India with us, Miranda Harcourt, who’s fantastic, and she devised some exercises as well as we started narrowing down the groups. GD: For me, when I’m looking at all the kids, anyone who kind of touched that place in me, I thought we were getting close. But it was never a bull’s-eye, really, until one day, this little Sunny came into the room and he was kind of pretty instant for me. As soon as I saw him, he just felt like the kid that I’d been imagining and feeling, and then we got him into the rehearsal space and I put a camera on him. I just felt like we were watching our movie. It took a little bit longer for Kirsty to get into that, but for me, it was pretty instant. KM: Sunny just has this soulfulness that you could just see. He has an ability to be still on camera, to be himself on camera, which a lot of kids, when they start acting, don’t have. A lot of kids can be natural on camera because they don’t have a preconceived idea of what acting is, but sometimes once they do, depending on what they’ve been watching as well, they can get an idea of what acting is and it becomes a bit more like playing pretendsies. We were really looking for naturalism. GD: He was quite internal, quite quiet, but independent and strong — just the way he stood in the room and held his space in front of all these other people was confident. You could tell that he was analyzing everything, which I thought was really interesting, and then when we started working with him he had great instincts. He could be in a rehearsal or a theater game and stay in it, he wouldn’t break out — he could sustain that game we were playing. KM: Sunny had this beautiful husky little voice that was adorable, but mostly it was just his spirit. He just had a calmness, and he listened to people, and he felt right, ultimately. Something that I was taught as a casting director is that you obviously need a good actor, that’s absolutely hands down without a doubt, but most of all you need the right actor — whether it’s a kid or an adult, that’s what casting is about. It’s not always about finding the best actor, it’s about finding the right person for the part. GD: As soon as we cast him, it began a very lengthy preparation, which was largely driven by Miranda Harcourt, who is a genius. The first thing that Miranda and we created was a children’s book of the film, and the children’s book version of the film was very simple: It showed an image on one side, and on the other side was an image of him from the rehearsals we did that had the emotional qualities of the scene that were right, and then we used Hindi to describe very simply what happened to this boy: Saroo has a loving family; one night he gets trapped on a train; he misses his mother, things like that. We had that printed for him and we sent it to his home so he could feel like he contributed to something, and so he could prepare himself for what was about to go on, and know that this story has its ups and its downs. GD: It keeps going: We had to look at his diet, we had to look at the attitudes toward him on set. There was no hero-worshipping allowed: He had to be looked at in a normal way at all times. It’s all of those things that begin to create an environment where he can just be himself and do honest work. KM: Our determination was to find a child who had the stamina to get through the whole shoot, but even afterwards, Garth was like, “Sunny was incredible.” Even the quite grueling casting process is nothing compared to shooting a film. So it’s just really a leap of faith, and a lot of kids who had natural talent fell by the wayside because they were just too precocious. They only had an attention span that lasts about 20 minutes, and then they had to go off and run and jump off walls. Sunny was able to really focus. GD: The trick with a 5e-year-old is they can’t recall stuff in their imagination as much. An 8-year-old or 10-year-old, there’s a part of their brain that’s more developed and they can imagine things, but for a 5-year-old it has to feel fairly immediate. So in many ways, the games are really important — sort of just giving him a really simple task in a scene that is designed around what the scene’s about, the scene can feel alive and not contrived. KM: What we were looking for was the kid that was going to be able to bring that. And some people just understand: You watch lots of amazing child performances, and if you look at a young Drew Barrymore or Haley Joel Osment, some kids just get it — you don’t have to explain all that much. I think it also is about that stillness. You can definitely have precocious kids who can act, but I think often you’ll find that it’s the quieter ones and the most thoughtful ones that have that magic onscreen.